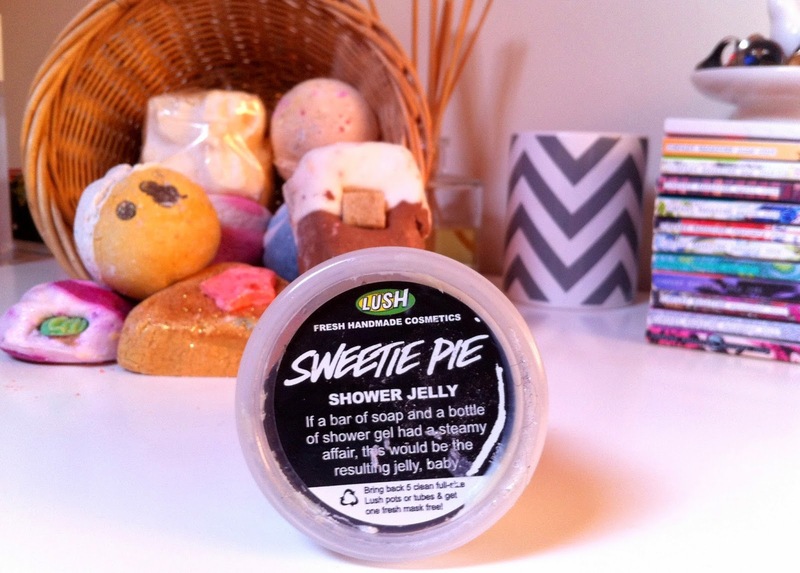 Hello lovelies, today I have for you a product from one of my favorite shops if you didn't know already Lush, this is also one of my favorite products, in my top 3 any how. This is a shower jelly but I always find myself using it more in the bath, I'm a bit of a rebel like that. 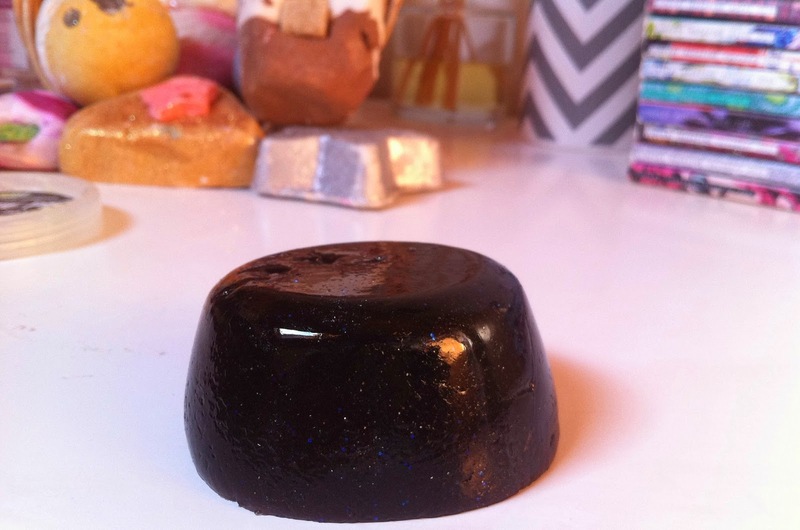 You only need to rub this onto your skin the tiniest amount and it lathers up gorgeously, it smells sooo good too with cherries, blackcurrants and coconuts as the main scent, covered in its wobbly goodness with sparkles. It is indeed a party in a tub, it looks and smells good enough to eat but I wouldn't advice you to do that, it smells very similar to the Comfortor if you have ever smelt that, those are the sort of scents you will get with this, rich, sweet and feminine it arouses my nostrils however wrong that sounds. Not only can you use this as a shower/bath body wash you can also use it on your hair! 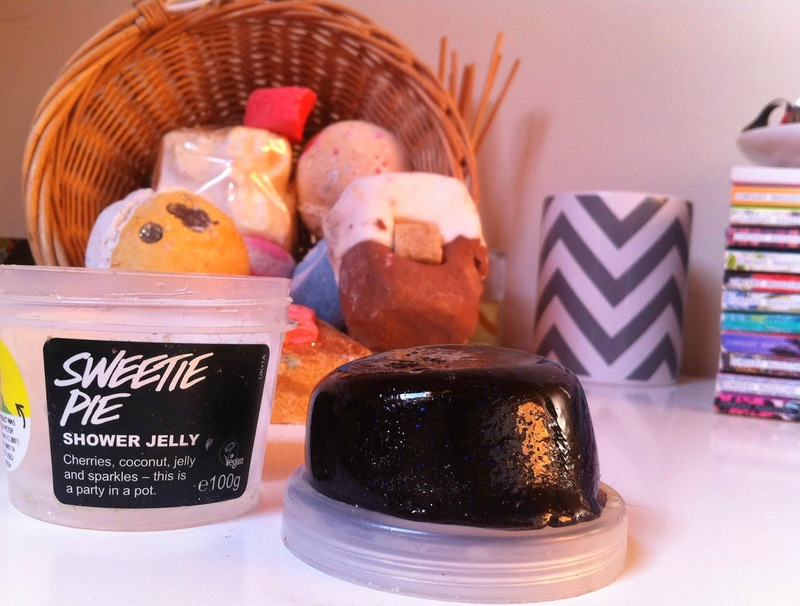 It has seaweed infused inside so will do wonders on your hair, you can also freeze it or chill it, this would be great in the summer to rub all over you too cool you down in a luke warm shower, a party in the shower smelling absolutely gorgeous what more could you want? Although I said it smells feminine my fella adores this too, he loves the comfortor also though, maybe he just likes sweet smells like I do, we have to fight for this in the shower like it's not hard enough to keep it in your hands, its a bit of a slippery bugger. It makes your skin unbelievably soft and lasts for absolute ages, I love that Lush do not test on animals and they always do tremendous work for all types of causes around the world, if you have never been inside Lush I would highly recommend you do and go check out this product, its amazing! Since I walked into Lush about 3 years ago I have never gone in there again and not bought anything, it gets addictive so I will warn you on that but well worth every single penny I spend. Have you tried this shower jelly, or what is your favorite Lush bath/shower product?